This is a subject which has been playing on my mind a lot recently and while I’m no means an expert, my own twin pregnancy was full of ups and downs, some tears, some laughter and a lot of smiles. Looking back over medical care I received there are things that have left me feeling like I should have armed myself with more information and stood up for myself, and my babies more fiercely. I don’t want this to be a post slating another hospital as I came across so many people who were amazing and one Doctor in particular was a saviour for us. However, we were given such little information about twin pregnancy, actually no information, that I thought it might be useful to do a round up of what we learnt for ourselves going though the process. Read the NICE Guidelines on multiple pregnancies. The NICE Guidelines should be followed by all hospitals and you should give it a read to make sure you are aware of the care you entitled to so you can insist upon it if needed. I didn’t read these until 20 weeks when I realised that during a twin pregnancy I should have seen a specialist at 12 weeks and I wish I had read them sooner. Find out what type of twins (or other multiples) you are having. At your twelve week scan they should be able to tell you if you are expecting non-identical twins or identical twins. Non-identical twins have separate placentas and are in separate sacs, they will be in your notes as DCDA. Identical twins can either share a placenta and be in separate sacs (MCDA) or share a placenta and a sac (MCMA). You should also be aware that some twins that appear to be non-identical can still actually be identical but testing needs to be done after the birth to confirm this. Have an appointment with specialist or a consultant. This should happen with all multiple pregnancies but especially if you are expecting MCDA or MCMA twins. Please insist on seeing someone as soon as you know you are expecting twins, we didn’t and we really should have as it would have saved us a lot of worry. Don’t be afraid to ask for the care you entitled to as this is for the safety of yourself and the babies. Write a list of questions. You might think you are being a real pain by doing this but I can’t tell you how many times I came out of appointments forgetting to ask something. If you want to know something, write it down! You will forget things and even the littlest of things will be important to you. Ask about the hospital’s policy on multiple births. All hospitals should have a policy for your appointment and scan schedule, when to deliver twins, the type of delivery and the medical staff available. If you expecting identical twins expect to be seen and scanned every two weeks, non-identical is usually every four weeks. MCMA twins are usually delivered at 32/33 weeks, MCDA 36/37 weeks and DCDA 37/38 weeks and type of delivery can depend greatly on the type of pregnancy you’ve had; previous births, hospital policy and your own preference all play a part too. Ask about Doctors and/or Midwives who specialise in multiple pregnancies and births. 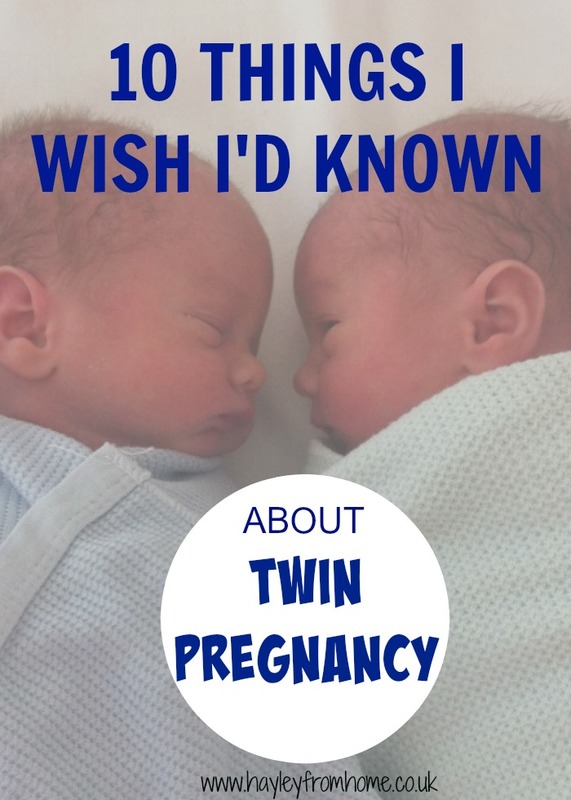 Another thing I didn’t know to do but is really important as some hospitals have a dedicated multiple pregnancy team including Doctors, midwives and even sonographers (this can be really important if they aren’t sure what type of twins you are expecting). My hospital didn’t but by chance I saw a Doctor who had multiple experience and I requested to see him at all my appointments from then on, it made such a massive difference to my own care and helped me to overcome some the the worries I had. Consider visiting the Special Care Baby Unit. Special care may not be necessary for your twins but the facts are that half of all twins are born prematurely and therefore have a higher chance of needing some additional care. Some people like to visit the SCBU before hand so it isn’t as scary if any of your babies do need to that care. Bliss have some great information about premature births if there is a possibility your babies will arrive earlier that 37 weeks. Make contact with multiple groups/agencies. Depending on your area there may be special antenatal courses or twin groups that you can visit while pregnant to speak with other twin parents. I’d recommend visiting the TAMBA website who run groups and courses if you are struggling to find any provided by your hospital. We went to a Practical Preparing for Parenting run by them which was invaluable. If you become a member of TAMBA they also have a Twinline which you can call for advice. Research for yourself but be sensible. There is a wealth of information out there in books and on the internet but do try and avoid the horror stories, they are there for every pregnancy and even more so for multiple pregnancies. I found Babycentre had some useful articles and helpful, supportive forums. Don’t forget us bloggers too! There are lovely friendly twin parents out there blogging or even just on twitter and speaking from my own experience they are happy to help. Look after yourself and enjoy! Becoming a parent of twins or more is incredibly special, yes twin pregnancy can be more complicated and you are monitored much more frequently but everything is in place to keep the pregnancy and birth as risk free as possible. Stand up for yourself at appointments and make use of professionals who have that extra knowledge and are willing to offer the extra support. Try to relax as much as possible and it will make the whole experience that bit easier! You can read more about my twin pregnancy here and I’ll be writing up my birth story soon (before I forget the details!). After some bumps in the road I found an amazing Doctor I could put my trust in and he delivered my MCDA twin boys by elective c-section at 37 weeks exactly, they were 5lbs10oz and 5lb9oz and luckily needed no special care. We were back home after two days and they are now 8 weeks and thriving. If you found this useful you may also like my Newborn Twins Advice post. There is no getting away from the fact that there are extra risks associated with multiple pregnancies and births so it is important to know where you stand in regard to the care you should be receiving from your hospital, having said that being pregnant with twins is amazing; lets face it, to be able to have any babies is pretty incredible but having two (or more) is going the extra mile! Hopefully this will help you feel that extra bit prepared and reassured and if you are expecting or already have twins I’d love to hear about your experiences. It’s a shame that so much you have to push for yourself, it’s important to make sure you have as much information as possible now! Great post! I would suggest not only knowing hospital policy, but delivering at one with a good NICU (level 3, here in the US). It won’t seem like a big deal until one has a problem and has to be sent to a NICU 10 miles away from where you, your spouse, and the other twin are. That’s a really good point. Our c-section was delayed as they didn’t have room in the SCBU and it would have meant them being sent to another hospital if there was a problem. Always good to check your options! 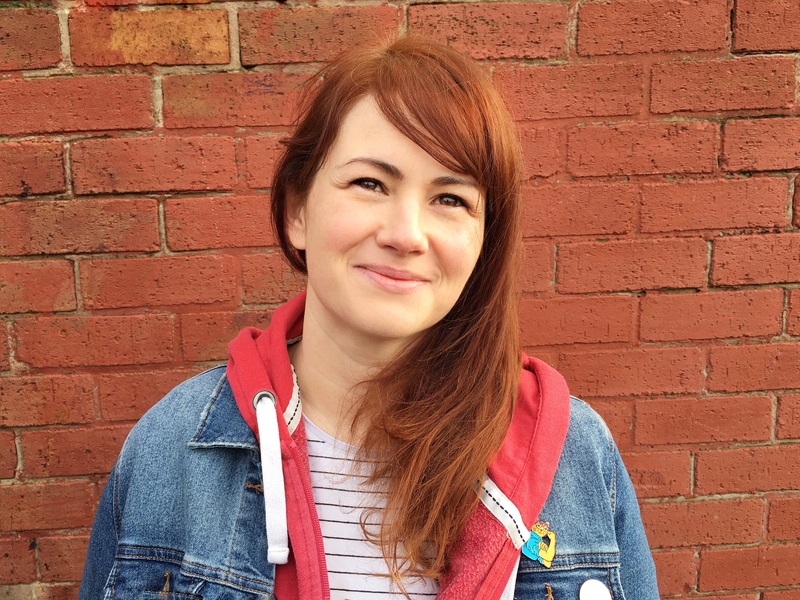 Thanks Katie…we are living in such a different time now aren’t we? Can research so much for ourselves but it does mean we open ourselves up the the bad stories too! I would love to know how you ladies knew if you’re having identical or fraternal twins? My doctor says that the only ways to know would be if having boy/girl twins (then they are obviously fraternal) or a visual inspection (or blood test) after birth. This is really useful information and helpful. I’m 30 week pregnant with twins and my gynae said I’m definitely going to deliver through cesarean. I’m not really comfortable with it yet but I’m happy to do anything that will ensure that the kids enters this world safely. I delivered my 4 years old naturally and I was hoping for the same. Love this! I am 23 weeks pregnant with MO/Di twins. I don’t think the worrying ever stops but it helps to be educated on twins. Literally anything can happen! That’s exactly how I felt too, it really is so lovely…hard work but all worth it. Congratulations!